Savvy Spending: *HOT* 35 Christmas Photo Cards Shipped FREE!! Ends 11/9!! Plus, choose now, personalize later when you're ready with photos! *HOT* 35 Christmas Photo Cards Shipped FREE!! Ends 11/9!! Plus, choose now, personalize later when you're ready with photos! UPDATE: The referral credit now says "$25 off $100", but it is still taking $25 off $50 orders! Follow the steps below and it should still give you totally free Christmas Cards!!! WHOOOOA! Hold the phone! I have an awesome deal for you, but it ends tomorrow!! 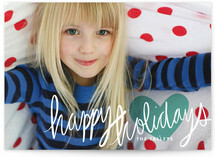 You can get a $25 credit to Minted.com to create beautiful, personalized holiday cards! WAIT-- I know you're thinking "I don't have my photos ready, so I'm just gonna scroll past this deal...." STOP! Minted has an option that is so awesome for people like you (and me- yep, don't have Christmas card photos ready yet either)! You can "buy now, personalize later" and add your photos and text to your cards when you're ready. They won't create or ship them until you say you're all set! And, the best news is, YOU CAN GET 35 photo cards for FREE plus FREE SHIPPING! So, now that we're all on the same page here, follow the instructions below to get this awesome deal! Go HERE and sign up for Minted.com and you'll get a $25 credit off your purchase of $50! 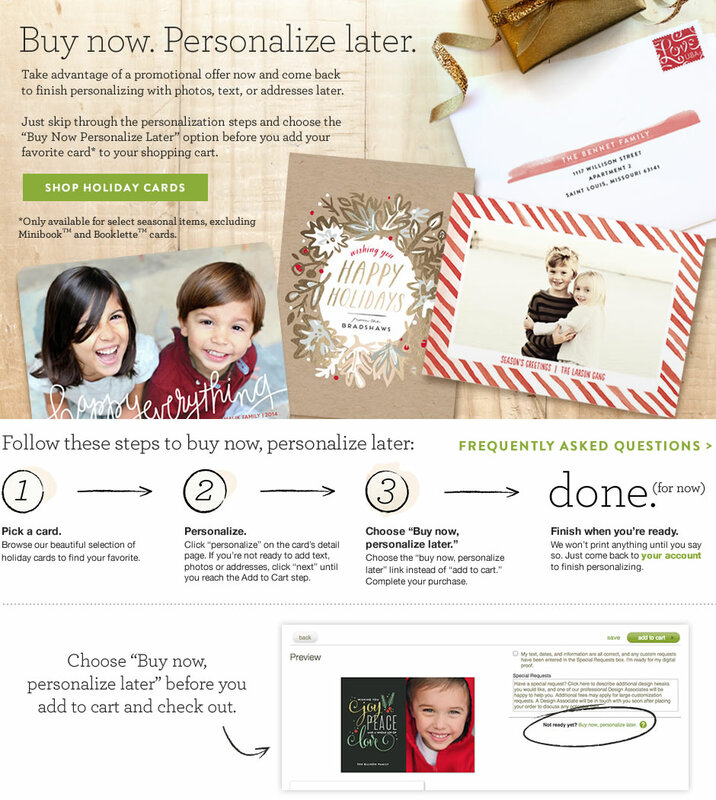 Then go to the “Minted Stationery” tab at the top left and choose the “Holiday” tab. Change the sort to "low to high" and select one of the first few cards to make sure you get these for free. (If you pick one that's too much for the coupon codes to cover them, you can change the card later). Now, click on the Personalize (Don't worry about adding a photo or text unless you're ready to do that. If you don't have photos ready, just keep going). On the Preview page choose Express Service for an additional $10 off your order! At checkout, enter your billing and shipping info. Enter code BRIGHT25 to for another $25 off your holiday card order, plus FREE shipping! So combined with the $25 credit for joining, you're getting $50 worth of cards for free!